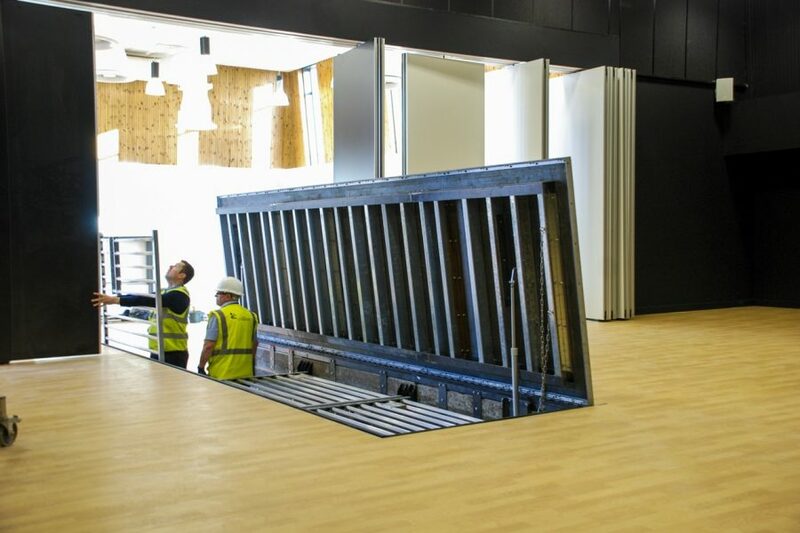 Surespans balanced action internal and external floor access covers are designed to cover a wide range of applications and finishes, from patterned tread plate to carpet or vinyl tiles, through to recess for timber, ceramics, concrete or walk-on glass. Featuring gas spring assisted operation, these access covers allow fingertip opening of the lid. 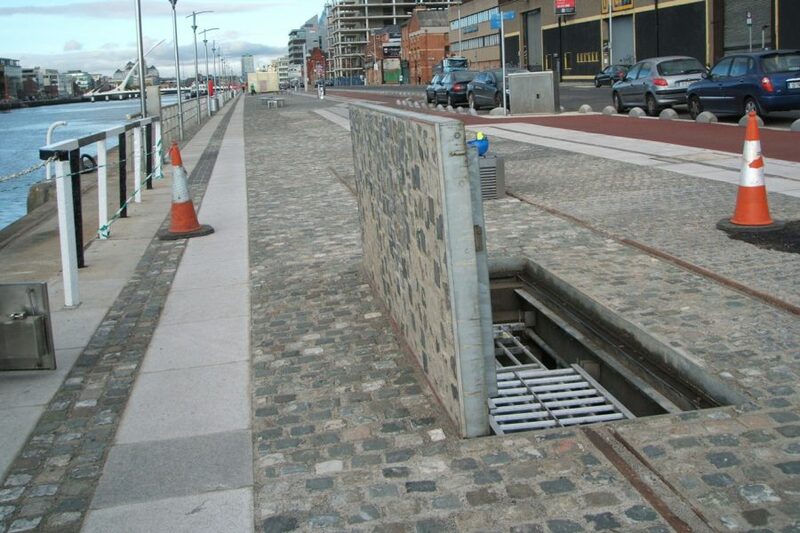 HIAC access covers can be provided with a water catchment channel and drain point, making them suitable for use in wet areas, such as swimming pool walkways etc. 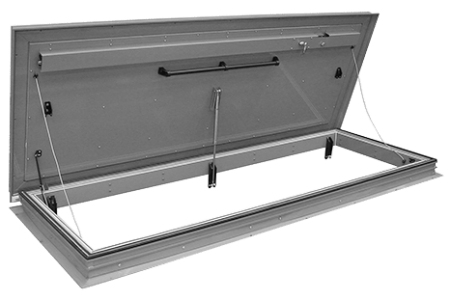 The SRH/DL double door roof hatch is manufactured in aluminium. They can be provided with an optional polyester powder coated finish. Each standard roof hatch is insulated to maintain the thermal integrity of the building. The gas spring assisted opening lid is supported by heavy-duty aluminium hinges. This also features an integral wrap over edge. The hatch incorporates double unbroken EPDM seals. 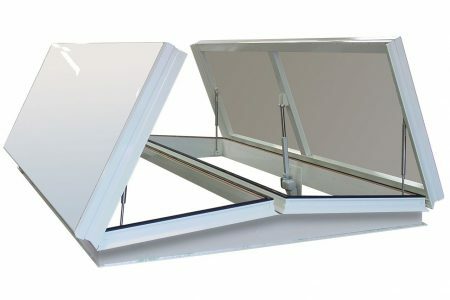 The upstand has a purpose made flashing to accept the roof felt for weatherproofing purposes. Moreover, the hatch incorporates a safety hold open stay feature to prevent accidental closure. Various locking options are available. Surespan SLH sliding roof hatches and sliding glass roof lights provide many advantages over standard roof access hatches. 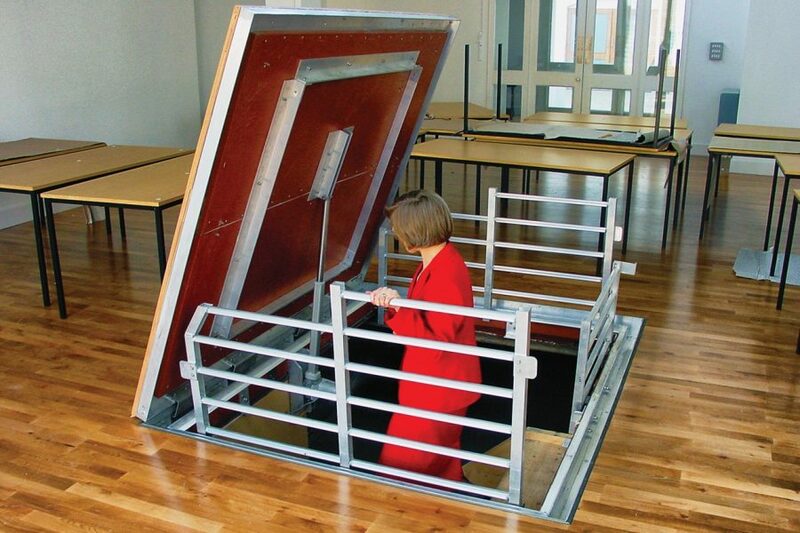 The sliding access hatch is ideal where there is a height restrictions or in areas with high risk of wind. 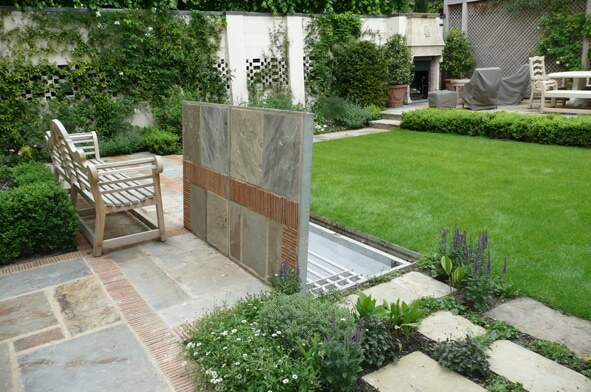 They are also ideal for access to roof terraces via a staircase. Surespan sliding covers are manufactured with a thermally broken lid and upstand as standard. The sliding mechanism can be sold with fixed rails or internal telescopic rails. The lid is filled with 2? of CFC and HCFC free insulation with a U-value of 0.43 W/m²K. Surespan can also provide custom solutions such as our glazed sliding roof hatch over a fixed roof window. 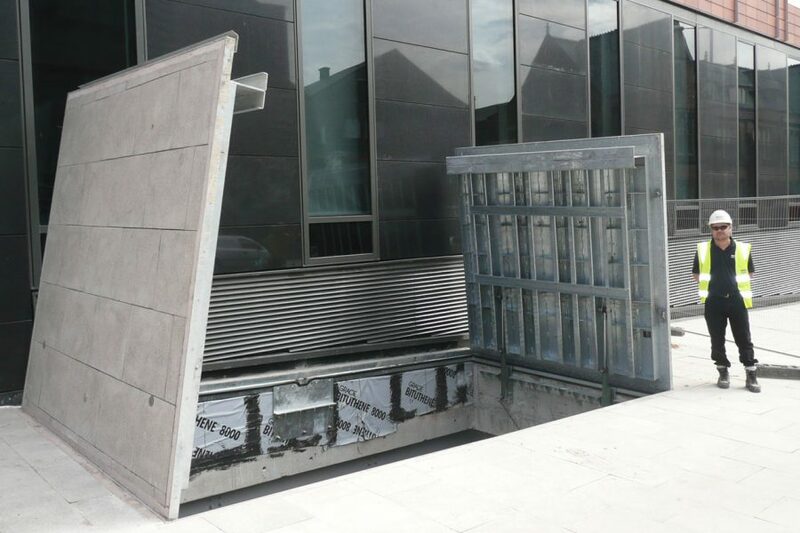 Surespan RSI aluminium single or double leaf upstand floor access covers are rated at 2.5 or 5kN/m2 loading. The patent marine alloy frame incorporates a single or double unbroken EPDM seal, to help prevent the ingress of dirt and moisture offering water and near airtight seal. Vented, insulated and airtight options are available. 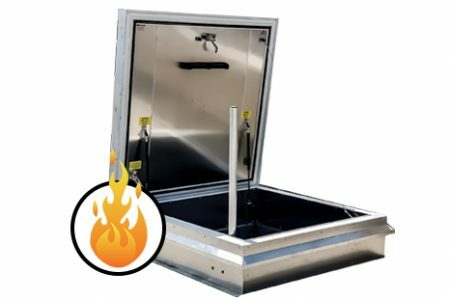 The access covers come complete with high grade stainless steel gas spring assisted lids, which are locked in the open position with a safety hold-open stay to prevent against accidental closure. A stainless steel slam action cab lock is fitted as standard to lock the lids. Manufactured in magnesium alloy with marine alloy frames or, alternatively, stainless steel. 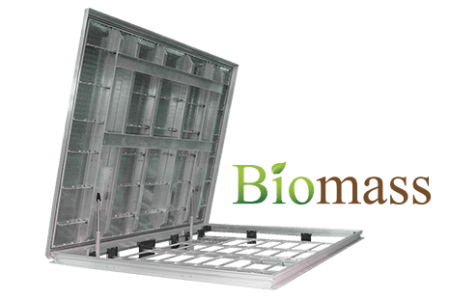 Surespan biomass plant access hatches offer the ultimate in design; with gas spring assisted aluminium tread plate lid that locks in the open position with a safety hold-open stay to prevent against accidental closure. 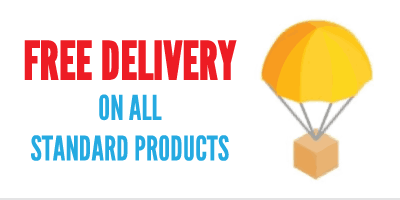 Available from pedestrian rating to D400 loading in all shapes and sizes, with a variety of finishes including polyester powder coating.Double unbroken EPDM seals incorporated in the frame help prevent the ingress of dirt and moisture offering near water and airtight seal. Any water passing the seals will be dispersed via an integral drainage channel, which is fitted with a Tailpiece Adaptor. 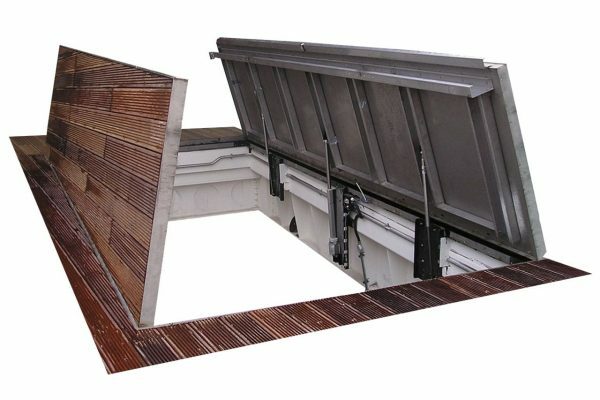 Surespan SRHP/S20 (previously SRH/TB30) superior insulated premium roof hatches are manufactured in aluminium. Featuring thermally broken sections and an insulation which offers an outstanding U-value of 0.20 W/m²K. The gas spring assisted opening lid is supported by heavy-duty aluminium hinges and features an integral wrap over edge, incorporating double unbroken EPDM seals. The upstand has a purpose made flashing to accept the roof felt to make it weatherproof. 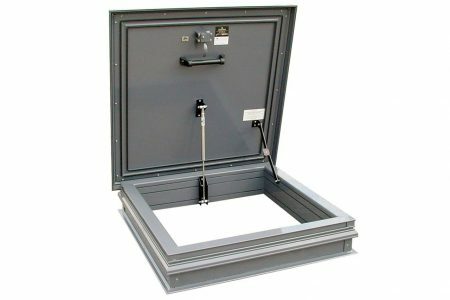 These premium roof hatches can be used in a variety of applications from Cold store storerooms to particularly harsh conditions. While the stainless steel option can further enhance the overall life span in high humidity environments with its corrosion resistant properties. The thermally broken sections coupled with the superior insulation ensure condensation is not a problem. 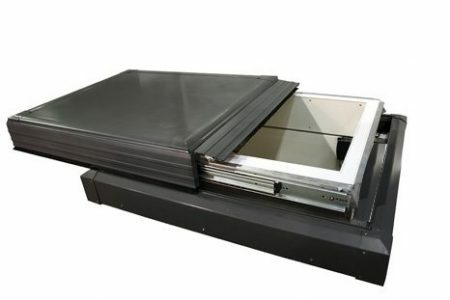 Thermally broken single leaf Fire Rated Roof Hatch is manufactured in aluminium with optional internal or external polyester powder coated finish. The gas spring assisted opening lid is supported by heavy-duty stainless steel hinges and fixings. Aluminium curb liner is supplied as standard for improved insulation properties. Fire rated up to 240 minutes to EN 1634-1. Designed to be easily operated by one person, the hatch features a grip handle and safety hold-open stay to prevent against accidental closure. An array of specially designed insulation offering up to five times the performance of other commonly available insulation materials.